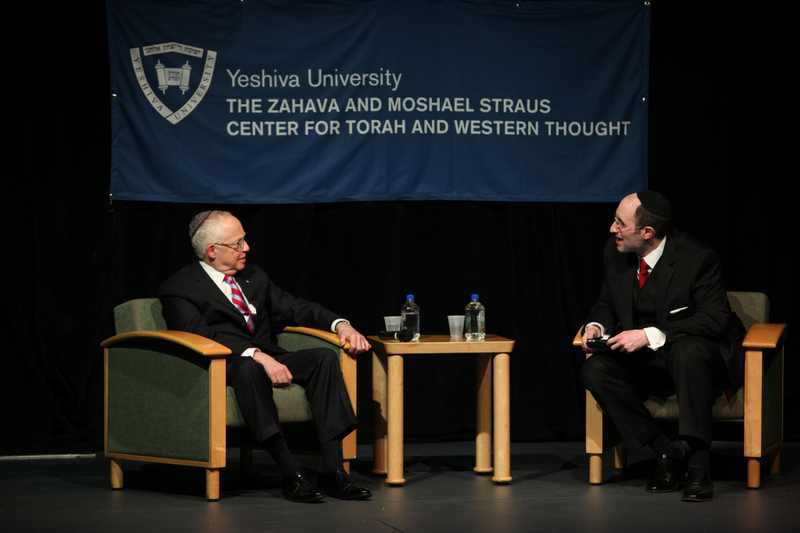 Mukasey and Soloveichik discuss legal responses to terrorism at March 5 Straus Center event. 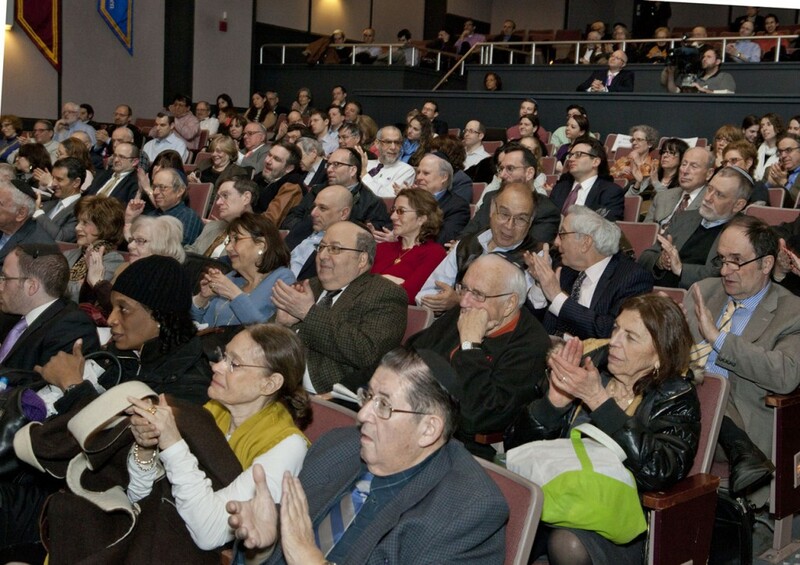 The third of this year’s Great Conversations on Religion and Democracy series of the Zahava and Moshael Straus Center for Torah and Western Thought, the event followed on the success of the two earlier installments in which saw the Straus Center hosted Senator Joseph Lieberman and Chief Rabbi Lord Jonathan Sacks. As director of the Straus Center, Soloveichik introduced and conducted the event. He explained how the topic was chosen because of its timeliness to the holiday of Purim, in which the Jewish people commemorate the vanquishing of their foes while living in the Persian Empire. He used this parallel to segue into a discussion regarding Mukasey’s involvement with the legal response to terrorism during his tenure as a judge in New York and later working for the administration of President George W. Bush. The conversation focused on topics including how to legally deal with the rise of terrorism, the Bush administration’s legacy regarding interrogation techniques and how best to detain individuals who wish to harm the United States. After the jury found the terrorists guilty, Mukasey sentenced them to life imprisonment as their crime of seditious conspiracy was not eligible for the death penalty. From there the discussion shifted gears to the Bush administration’s handling of detainees during the War on Terror. 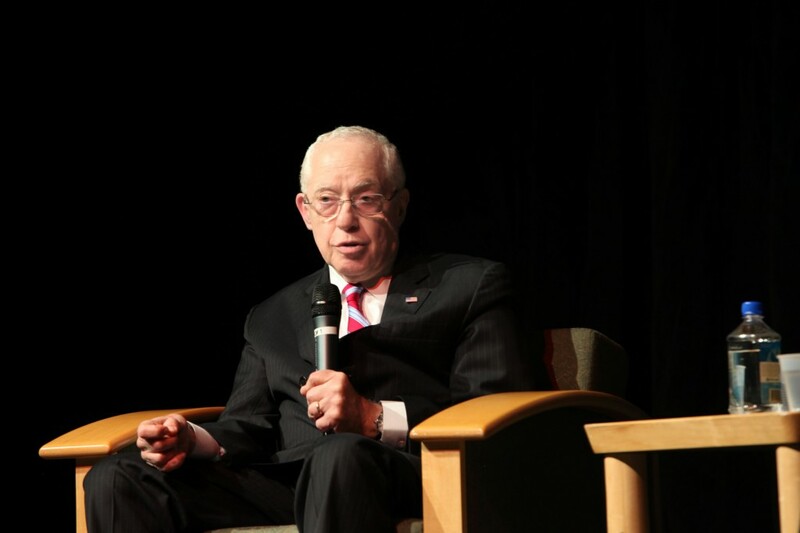 Here Mukasey shared his disappointment regarding the public view of the “enhanced interrogation techniques” utilized by the CIA. He said that referring to the intelligence gathering method as such was the “worst form of branding since New Coke.” He would have preferred that it had been called “harsh” or “coercive” interrogation instead. To help further prevent international terror, Mukasey recommended the setting of special legal parameters to handle the detention of enemy combatants to ensure that the CIA or other government organization can properly interrogate them without worrying about breaking the law.